Random Word Generator is a time-saving creativity aid that creates lists of random, artificial words. Its sophisticated system of word construction generates a high percentage of useful words. Words can be subject to certain restrictions, such as ending in a vowel or making the third letter ‘a’. A spell checking dictionary can automatically ensure that words are artificial or real. 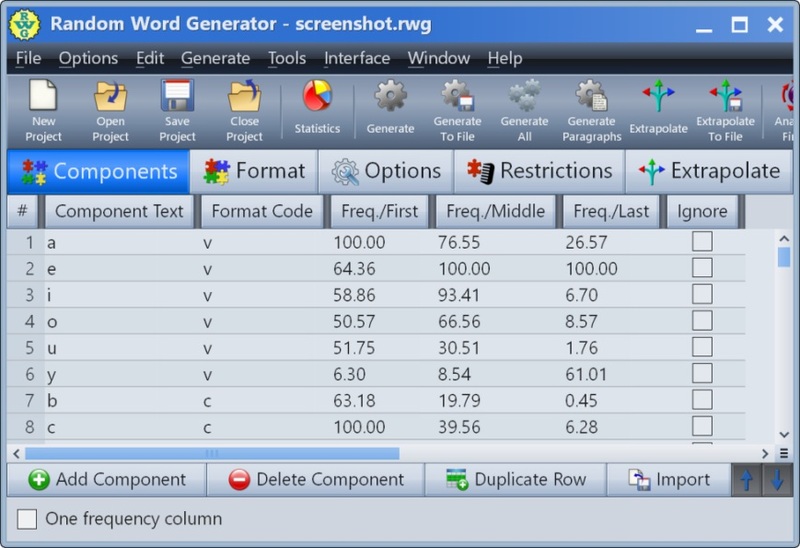 Other features include a customizable word construction engine, output to screen or file, generation of random variations of a word, generation of all possible words from a given format, generation of random words from the dictionary, anagram finder, and much more.